“So recently I had been reading about a lot of IoTs(Internet of Things) and trust me, I just couldn’t wait to test one of these wonderful devices, with the ability to connect to the internet, myself and get my hands on work. 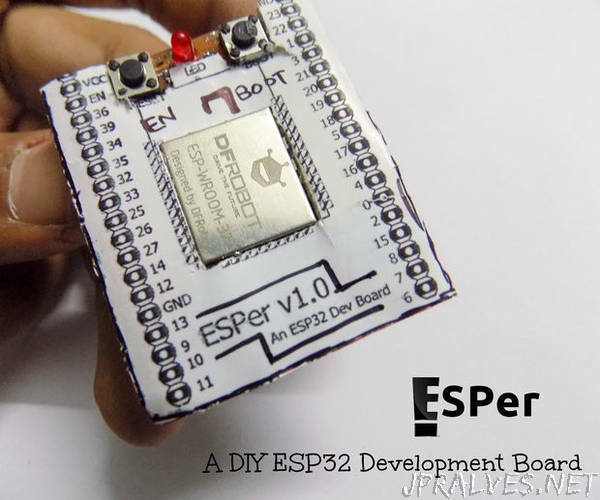 Luckily the opportunity arose, thanks to DFRobot, and I was provided with ESP32, a powerful, hybrid and an awesome module. To begin with, I purposely asked the DFRobot team to send me the ESP32 module rather than the development board because I couldn’t let the thrill of skillful get past my hands. And hence, here we are, making ourselves our own development board for ESP32.